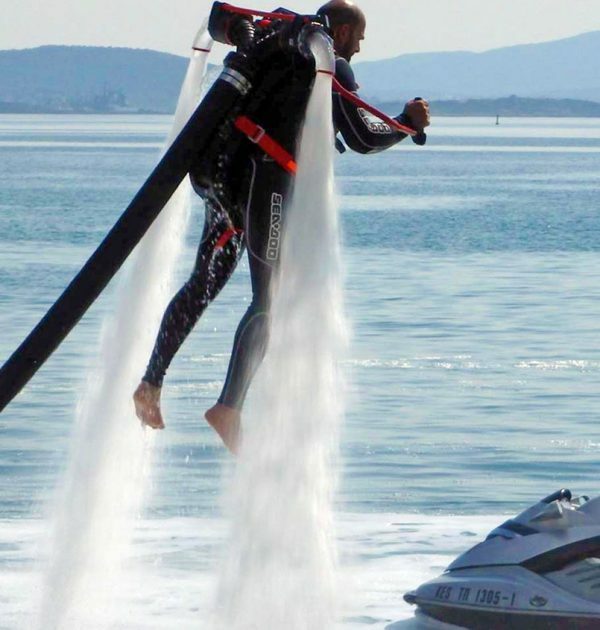 It is less demanding on the riders balance and dexterity. 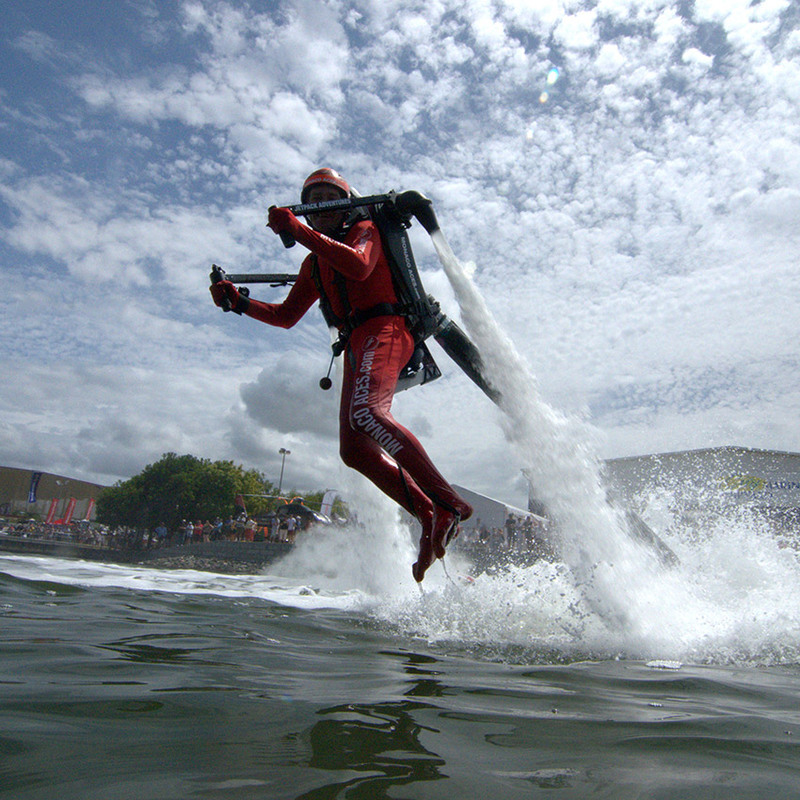 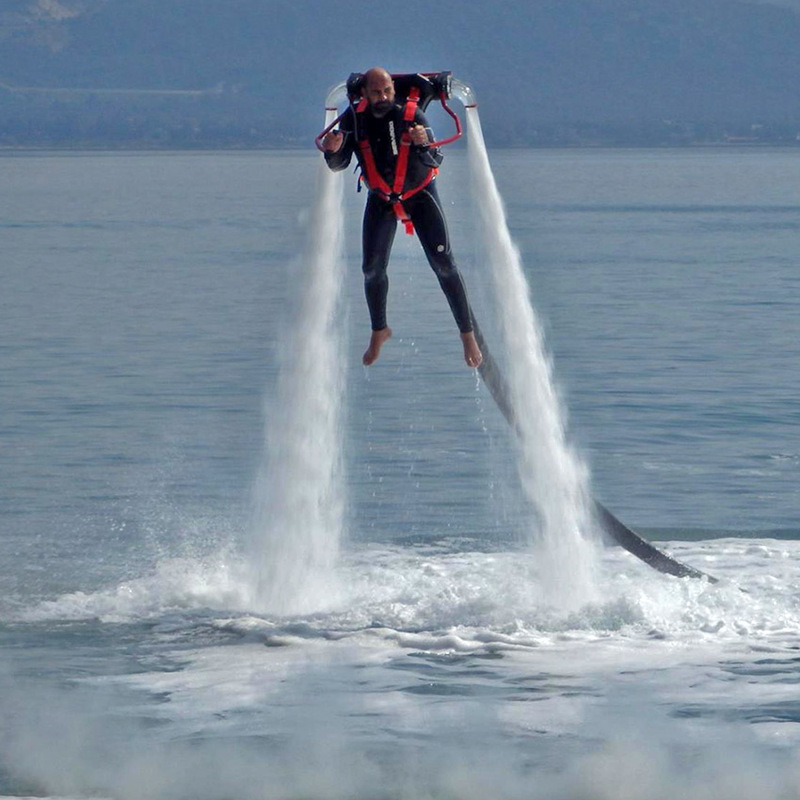 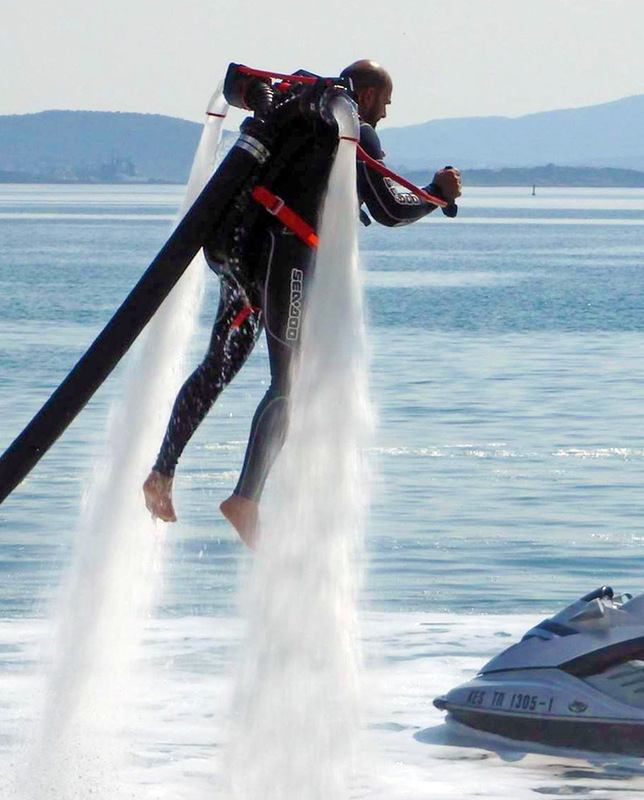 Such as the Flyboard® Pro Series, it utilizes the latest transparent hydraulic technologies and ultra-modern design. 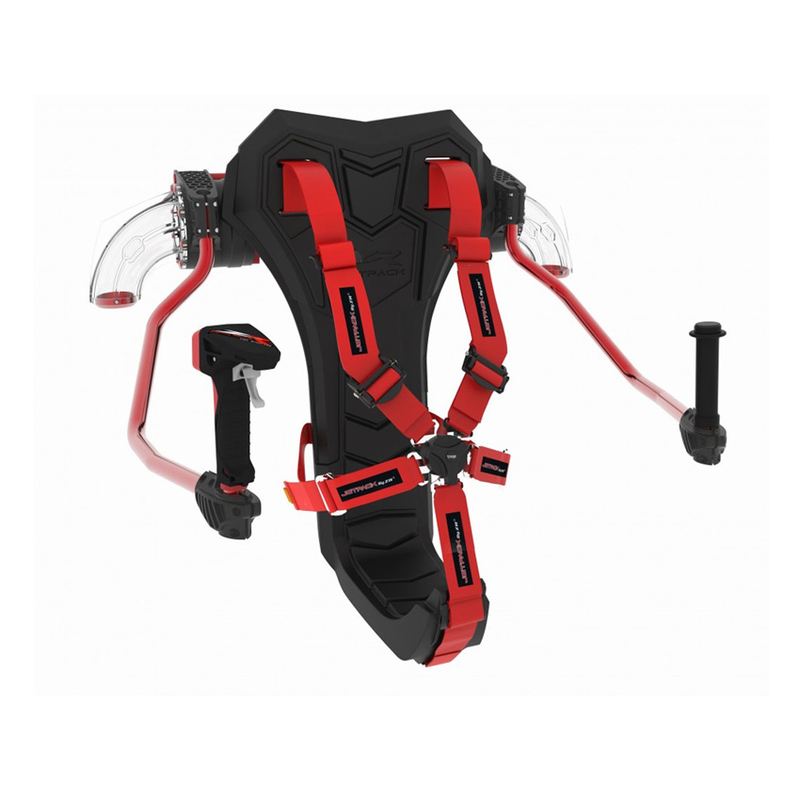 It is equipped with a 5 points harness manufactured by an FIA homologated company (International Automobile Federation) as well as a release clip triggered by finger pressure. Now everyone can fly! 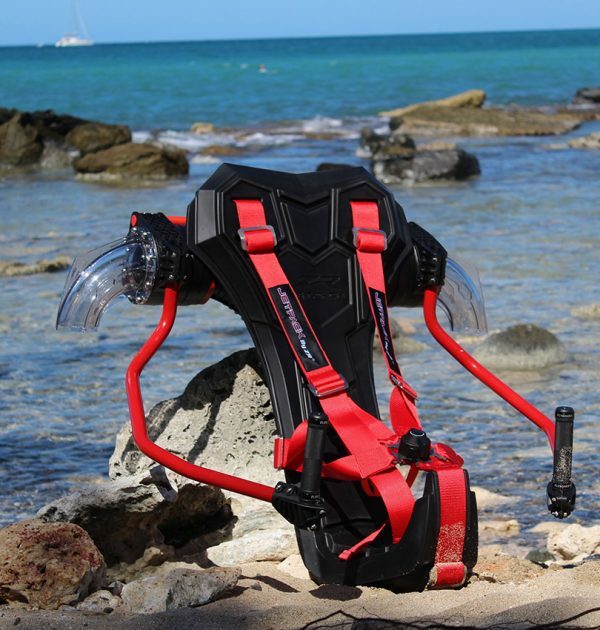 If you already own a Flyboard®, the connecting hardware being similar, you can purchase individual Jetpack by ZR® .